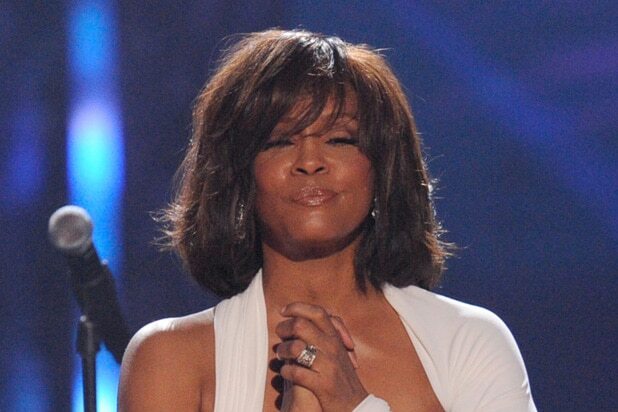 Can 'Whitney' Continue White-Hot Summer Documentary Trend at Box Office? Can ‘Whitney’ Continue White-Hot Summer Documentary Trend at Box Office? Not many documentaries get released on 450 screens right out of the gate, but Roadside Attractions/Miramax’s “Whitney” will do so in hopes of capitalizing on the passionate fanbase of its subject, music legend Whitney Houston. There are no projections for the Kevin Macdonald doc, but a reasonable comparison would be “Amy,” another documentary about a recently-deceased musician, which made $1.8 million in its first wide release on 341 screens. While the second quarter of 2018 set an industry record thanks to franchise staples like “Avengers: Infinity War” and “Incredibles 2,” the box office riches have also trickled down to arthouses thanks to a trio of acclaimed documentaries. First was Magnolia’s “RBG,” a look into the life of Supreme Court Justice Ruth Bader Ginsburg that opened a week after “Avengers” and has made $11.5 million. Following “RBG” was Focus Features’ Fred Rogers doc about “Won’t You Be My Neighbor?” neither of which had a screen count exceeding 1,000 screens. Last weekend, NEON got in on the doc craze with “Three Identical Strangers,” the story of three men who discovered that they were triplets separated at birth. Released on five screens in New York and Los Angeles, the film had a solid per screen average last weekend of $34,301. Bock also thinks that the recent commitment by Netflix and other streaming and TV outlets to documentaries has helped create a resurgence for the genre. Netflix’s two original docs, “Icarus” and “The White Helmets,” as well as ESPN’s “O.J. : Made in America” are among those that have come away with wins at the Oscars recently and have found mainstream popularity. 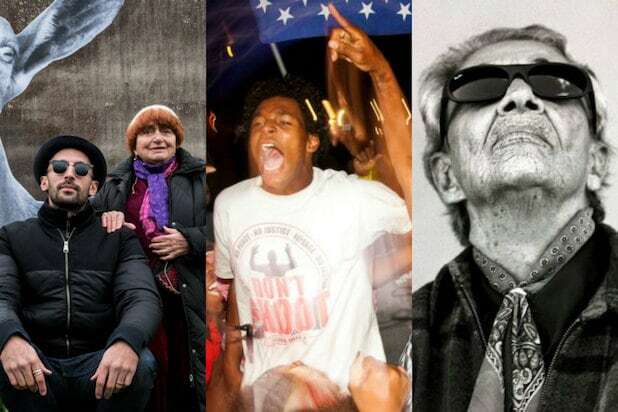 From the intimate and personal to the vast and far-reaching, spanning life and death and hope and anger and artistry, 2017's best documentaries captured struggle and triumph and the creative drive. Nonfiction storytelling pushed boundaries and buttons, asking the important questions and inspiring us to seek justice and to broaden our horizons. Director Andrea Weiss used the search for the remains of legendary Spanish author Federico Garcia-Lorca as a way to ask a bigger question that haunts the nation: Where are the mass graves of Franco's victims in the Spanish Civil War? And is the country ready to heal its figurative and literal wounds from that conflict, nearly a century later? A quarter of a century after "Paris Is Burning" explored the New York drag ball subculture, this vibrant, dazzling documentary shows us that the balls are still alive and kicking, with a new generation of talented young people strutting their stuff and building on the houses and the chosen families that came before them. As autistic adults Dina and Scott prepare for their upcoming wedding day, filmmakers Antonio Santini and Dan Sickles give us the opportunity to get to know Dina, a brassy, complicated woman navigating her way through whatever life sends her way. There's nothing condescending about this fascinating portrait of a couple working through their issues on the way to the altar. This look at the writers at The New York Times who chronicle the dead becomes a celebration of life and its fascinating twists and turns, even as the impending death of the print medium lingers in the background. What it takes for a writer to capture someone's life -- and what an obituary says about how that life was lived -- makes for a riveting yarn. Filmmaker Yance Ford compellingly mashes up the first-person and true-crime documentary genres in his investigation into his brother's murder. Part family history, part exploration of race and gender in America, this haunting tale keeps coming back to Ford's expressive face, reliving personal horrors and driven to seek justice. The life and career of legendary Mexican ranchera singer Chavela Vargas makes for fascinating viewing even if you aren't familiar with her famous pipes or heartbreaking songs. Boldly flouting convention in her choice of clothing (she favored men's suits) and partners (Frida Kahlo was one of her many female lovers), Vargas became an female icon and role model in a conservative and patriarchal time. 4. "The Death and Life of Marsha P. Johnson"
Both a celebration of the life of the larger-than-life LGBT activist and an examination of the ongoing investigation into the circumstances behind her passing -- the NYPD called it suicide, many are convinced it was murder -- this latest work from David France ("How to Survive a Plague") is a stirring call to action. The smartphone is revolutionizing citizen journalism and documentary filmmaking; this look into the protests in Ferguson, Missouri, following the murder of Michael Brown has a fly-on-the-wall immediacy that's breathtaking and heartbreaking. A searing portrait of race relations and the power of community in the face of official indifference. 2. "Ex Libris: The New York Public Library"
Legendary director Frederick Wiseman takes his camera everywhere from the gala fund-raisers and high-profile author appearances in Manhattan to after-school programs and job fairs in the Bronx for this portrait of this era's most valuable currency, information, and an examination of who wields it and who can access it. One of the last surviving filmmakers of the French New Wave, Agnès Varda turns her camera on herself and installation artist J.R. (her co-director here) as they travel around France plastering the faces of farmers on barns and factory workers on brick walls. Varda and J.R. celebrate people and their stories, the places we take for granted, and the spirit of creation and community. For me, no other film in 2017 called up as much emotion and delight.